Xiaomi launched Redmi Note 4 with Snapdragon 625 Processor at a starting price of Rs 9,999. Lenovo P2 also comes with Octa-Core Snapdragon 625 Processor. Check out Price, Specs, Features comparison between Redmi Note 4 and Lenovo P2. On Design both smartphones come with Unibody metal design Lenovo P2 Design looks similar to Redmi Note 3. On Display both has a 5.5-inch Full HD Display, Lenovo P2 has a Super AMOLED display panel. Lenovo P2 and Redmi Note 4 is powered by a 2.0 GHz Octa-Core Snapdragon 625 Processor with Adreno 506 GPU. On camera, Both phones have a 13MP Rear camera and 5MP front facing camera. 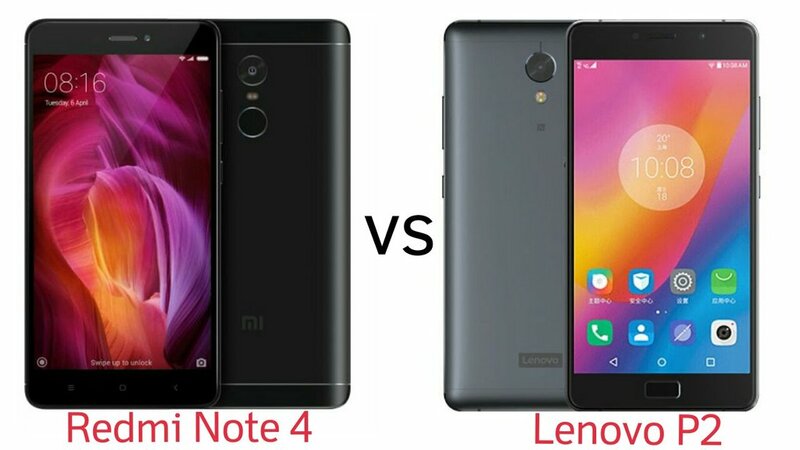 Lenovo P2 is packed with a 5100mAh Battery whereas Xiaomi Redmi Note 4 packs 4100mAh Battery. Lenovo P2 comes in Champagne Gold and Graphite gray colors.Priced at Rs 16,999 for 3GB RAM and Rs 17,999 for 4GB RAM variant available exclusively on Flipkart. Xioami Redmi Note 4 comes in Gold, Dark Grey, and Matte Black color. Redmi Note 4 with 2GB RAM and 32GB storage is priced at Rs 9,999 , 3GB RAM + 32GB ROM Priced at 10,999 and Rs 12,999 for 4GB RAM and 64GB model.